studio-sweepings: The hidden costs of selling online? 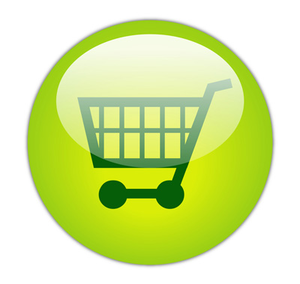 The hidden costs of selling online? I have been selling seriously online now for just over a year now and thought it would be interesting to do a bit of a review of my experiences. Customer satisfaction is of paramount importance to me. I am devastated if I get a negative comment or review – although luckily these have been few and far between. Over the last year I have made a small number of changes – I decided early on that I would approach it from the viewpoint of the customer and most changes have been tweaks in response to that. I wanted them to be delighted when their package arrived and to feel some of the anticipation the recipient of the card of gift they had purchased would feel. I therefore now wrap purchases in tissue (it also gives added protection) and post in a card backed envelope to ensure very item I send out arrives in perfect condition. I always post first class – I hate waiting for online purchases to arrive– and I include postage in my prices so the customer has a clear idea of exactly what the item will cost (haven’t we all got to the checkout and been totally shocked once the postage is added?) I try very hard to get purchases out within 2 days of the order being placed and will respond quickly to any queries or problems. Most customers are absolutely lovely and completely understand when the odd mistake occurs with a personalised order or the postal service looses or delays delivery of a product. What I have noticed however (through my experience and reading on line comments on other's sites) is many people are completely unaware of the costs of selling and the time it takes to make and dispatch handmade/ designed goods. Many seem to think the value of the product is just the raw materials whereas anyone who hand makes products will appreciate by far the biggest expense is the time involved. Out of the remaining £3.50 I will need to pay 90p for first class postage (the badges/ magnets automatically put my products into large letter + category regardless of weight) plus the cost of the invoice sheet (and ink to print it), the envelope, tissue and seals/ stickers. Say a conservative £1.10 total? That leaves £2.40 to cover all the other components – badges/ magnets, card, envelope, cellophane bag & seals – and of course the investment in machinery (e.g. badge makers, printer, computer) and time. The material costs can vary – as with most things – the more you buy, the cheaper the unit cost. As a small business producing original, bespoke products I cannot compete on price with say a badge maker who buys thousands at a time and then machine cuts and prints them - or buy envelopes at the same price as someone who posts hundreds of letter a day. The time spent can be considerable. The original design can take many hours to perfect, personalisation takes additional time, the designs need printing out (ink and paper costs), cutting and making up into badges or magnets. These then need attaching to the card (cost of glue dots or sticky pads) and packaging for posting. If an order includes a hand made envelope there is the time to cut, fold and glue that. Finally the items need taking to the Post Office. For me, each purchase will account for at least 10 minutes work – often more. (Excluding original design time and of course time also needs to be spent on websites, admin, answering queries and accounting etc.). If on the minimum wage – you would earn around £1 for 10 minutes work which I think puts the above in context. Most small business’s who specialise in handmade, personalised goods will never make a fortune and will work very long hours for the wages they do earn. I personally get a real sense of satisfaction from selling something which is my own design and which I know will be appreciated by buyers who want something unique – but I do sometimes wish there was a clearer understanding of the costs involved.